Where the most creative minds in TV and film tell the kinds of stories only they can. Today Apple announced a number of new subscription services, including Apple News+ and Apple Arcade. But the third and final unveiling was one that has been years in the making. 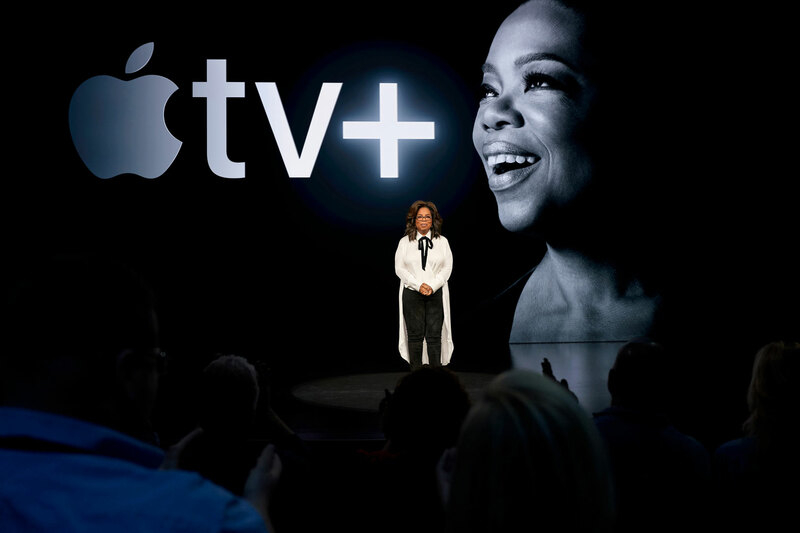 Apple TV+ is Apple’s original video subscription service and one in which Apple promises to be home to the ‘World’s most creative storytellers’. 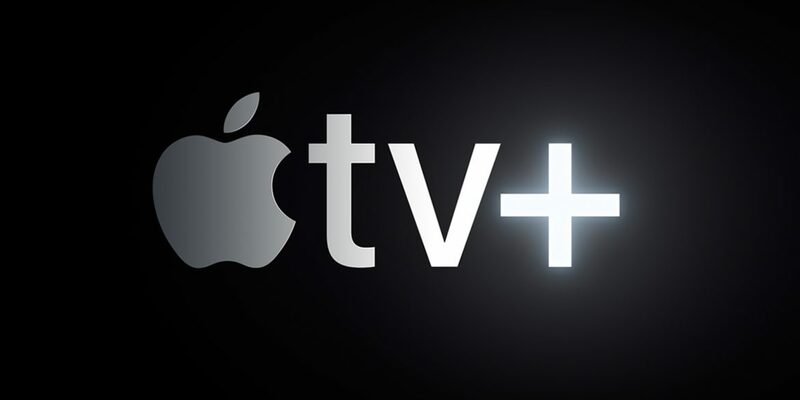 Launching later this year, Apple TV+, a video subscription service by Apple, will feature exclusive original shows, movies, and documentaries. Where the most creative minds in TV and film tell the kinds of stories only they can. To achieve this Apple has some of the world’s most celebrated creative artists onboard. Including Oprah Winfrey, Steven Spielberg, Jennifer Aniston, Reese Witherspoon, J.J. Abrams, and more. Many of which were at Apple’s event to unveil the projects they are working on for the new service. While Apple didn’t reveal any official trailers for any shows, they, along with many artists, did disclose some detail. Oprah Winfrey is working on two documentaries. One about workplace harassment, the second on mental health. The drama of inner workings of a morning television show will be the topic of The Morning Show starring Jennifer Aniston, Reese Witherspoon, and Steve Carell. While more can be seen a video titled The Storytellers Behind Apple TV+. Much of the shows on the service will be about storytelling. Inspiring, authentic stories with emotional depth and compelling character. 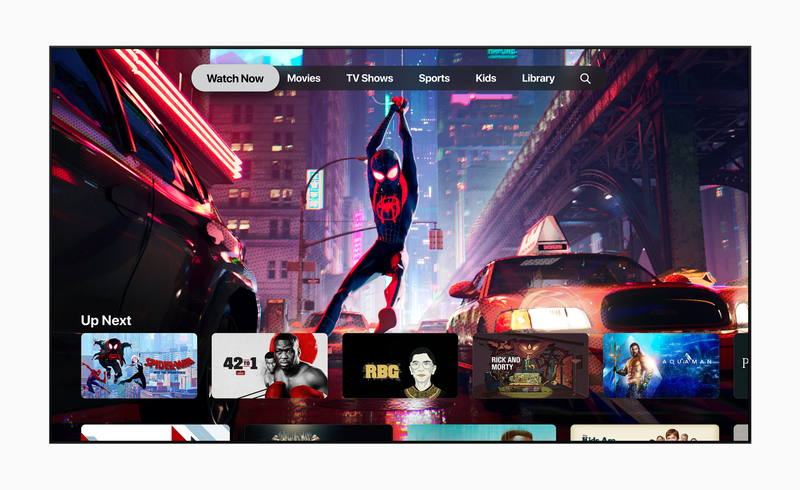 The video subscription service will sit within the all-new Apple TV app which was also revealed today. The updated app brings together Movies, TV Shows, Sports, News, and more from multiple channels and services into one place. Starting May, the app will be updated to bring the ability to pay for premium channels from cable TV providers and other streaming services. Apple TV channels will include popular services like HBO, Starz, SHOWTIME, CBS All Access, and more. However, they will vary by country and it is unclear as to which providers we will gain in Australia. Along with channels, the app will also display content from a range of streaming services. Including Stan, Amazon Prime, 9Now, Ten Play, ABC iView, 7plus, and more. Renting and buying hundreds of thousands of Movies and TV Shows from the iTunes store will also be possible within the app. The Apple TV+ subscription service and all-new Apple TV app will be available on a range of Apple and non-Apple devices. From the iPhone, iPad, Mac, and Apple TV, to smart TVs from Samsung, LG, Sony, and more. Plus a number of other media devices. No matter which device you watch something, you can continue watching from another device. As you do so, the Apple TV app will begin to make personalised recommendations on what to watch and also tell you when a new episode of a particular show is out. Apple has not yet confirmed pricing or release time for Apple TV+ anywhere in the world. Other than to say “pricing and availability for the Apple TV+ video subscription service will be announced later this spring.”. Apple has updated their website to confirm the service will arrive later in 2019. The all-new Apple TV app will, however, arrive from May, and is free.